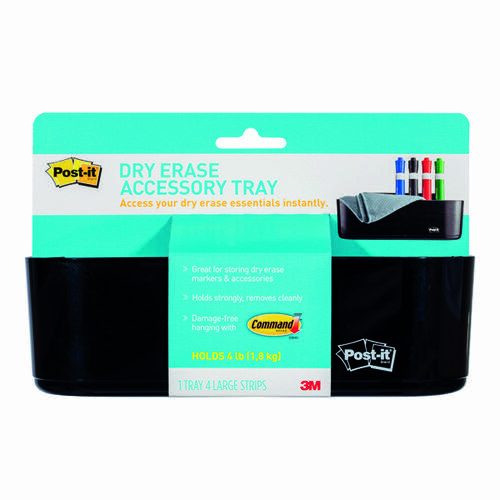 For use with Post-it Dry Erase rolls and sheets, this handy accessory tray is great for storing dry erase markers, erasers, cloths and other accessories. The tray comes with 4 large Command strips, which hold up to 1.8kg in weight and remove cleanly when necessary. This pack contains 1 black accessory tray and 4 large Command strips for hanging.